Clean Energy Kickstarter Launched - Hartke Is Online! What if the Solution to our Energy Crisis is Already Invented? Did you know that 75% of home energy use in the United States is for heat? There is no better solution to fracking, peak oil, nuclear waste and coal-fired pollution than a heating source that eliminates that energy use. A friend of ours wants to produce a 4-DVD set about rocket stove technology, the most sustainable way to heat a home. 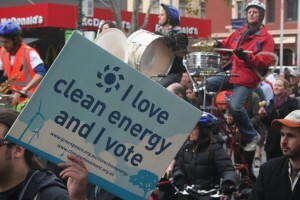 Last night, Paul Wheaton launched a clean energy kickstarter campaign. Who is Paul Wheaton and why is he nuts about rocket mass heaters? Paul Wheaton is a crazy, obsessed, fanatic about teaching folks practical ways to be good to the earth. And with his salty rantings and humorous musings about low tech, eco-solutions to the world’s problems he now has a massive fan club of “greenies”. Paul leads the largest “green living” discussion forum on the net, Permies.com and has a way cool Homestead podcast where he lets it all hang out about Permaculture. Our man Paul has written extensively about rocket stoves, and created over 20 YouTube videos, about this unbelievably simple (but not idiot-proof) technology. Nearly 50,000 enthusiastic DIY geeks have already built and installed this energy saving wood stove. Paul’s fans are teaming up to shoot that number into the stratosphere! This past year Paul offered a weekend workshop about rocket mass heaters and how to build them. The workshop quickly sold out, and those who couldn’t get in begged him to create a DVD that they could watch at home. What resulted was enough raw footage to create four separate DVDs! We hope this clean energy kickstarter will spread the word about this incredible, innovative technology. Why is everyone so hyped up about rocket mass heaters? Rocket mass heaters are the cleanest and most sustainable way to heat the conventional home. They are extremely efficient: burning 1/10th the wood of a traditional wood stove. You would think that with 1/10th the wood there would be 1/10th the smoke, but it really works out to be closer to 1/1000th the smoke. No carcinogens to worry about! Rocket stove technology, which won Ashden Awards for Sustainable Energy in 2005 and 2006, is an attractive energy alternative for those who care about cutting back on unnecessary wars and rampant pollution. Many of today’s wars are energy-based and a large portion of pollution stems from energy needs. So rocket stoves promote world peace. How cool is that? Far more satisfying than just shaking your fist at the bad guys, don’t ya think? Ok, so I believe in clean energy, but I live in a 4th floor condo. No DIY wood stove for me. Kickstarter is positive social change! We want to let 1 billion people know that this technology exists. So far, Paul has managed to reach about 21 million people. Now we are trying to figure out how to take this number to 100 million and beyond. The way we figure it, if we could get 1 billion people “aware”, that could mean over 2.38 million rocket stoves launched on earth. That’s MEGA-TONS of green energy. We can save the world’s fuel supply for high tech gadgetry and automobiles. YAY! Help us build the launching pad for the blast off of rocket stoves! The raw footage of how to build this incredible low tech, energy-saving device is in the can. Your donation will help Paul edit, package and market these DVDs. He already has found an animator and an uber talented editor (who just happens to be the star of Cirque de Soleil in Australia –he edited Paul’s quirkyKickstarter vid!). A successful Kickstarter campaign will put them to work! With your donation to this clean energy kickstarter, you can score a DVD or four! Help Paul promote this campaign and even land yourself or your organization a producer credit on the DVD jacket. For help hosting and filming the sold-out workshop Paul turned to his friends Ernie and Erica Wisner, who have built over 700 rocket mass heaters and some of the most advanced styles to date. With your help, we can turn Paul’s raw footage into 4 full-length DVDs. Choose Your Donation Level Now! Paul only has 30 days to blast off! As you may know, with his clean energy kickstarter he only gets the money if he reaches the fundraising goal. Overnight, he raised over $5,000. Let’s help him reach his goal of $18,000. Share this World Changing Campaign! If you think this campaign is cool enough to back, hopefully you think it’s cool enough to share with your friends and family. Every dollar, and every tweet, counts! You can make a clueless world SMART about energy again! 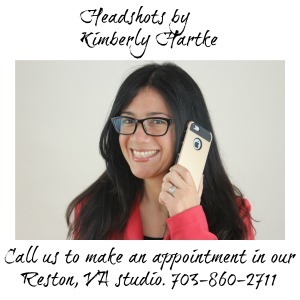 Kimberly Hartke is a featured blogger onVillage Green Network. Caroline Goggin is an urbanite who believes in the future of clean energy.